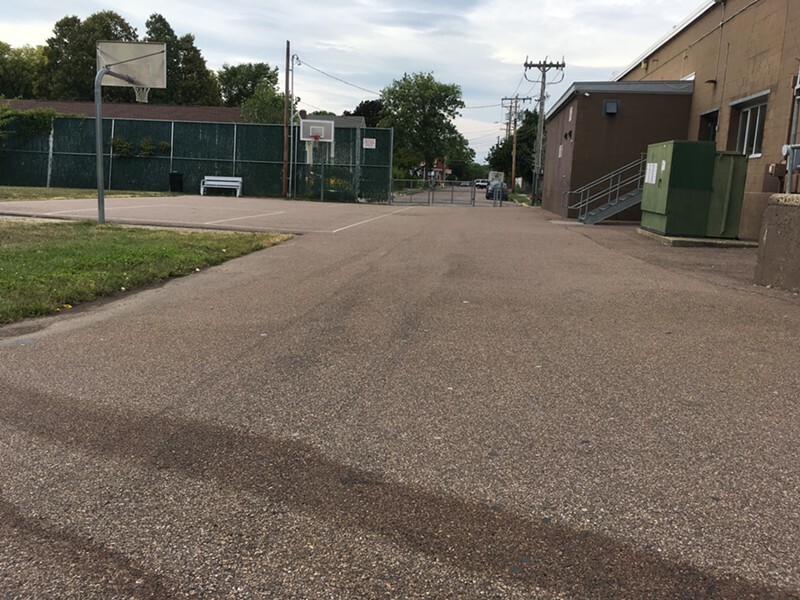 The location behind the O’Brien Community Center where police shot and killed 29-year-old Jesse Beshaw. Updated at 7:52 p.m. with additional information from the Vermont State Police. A Winooski man was unarmed when he was fatally shot by a sheriff’s deputy Friday afternoon, Vermont State Police said Saturday night. After a brief foot chase through the Malletts Bay Avenue neighborhood in Winooski, Jesse Beshaw, 29, approached Franklin County Sheriff’s Deputy Nicholas Palmier with his right hand behind his back, state police said. Beshaw did not respond to Palmier’s verbal commands and Palmier opened fire as Beshaw continued to advance, state police said. The Office of the Chief Medical Examiner found that Beshaw suffered six gunshot wounds and one “apparent grazing” gunshot wound to his head and torso, state police said. Winooski police officers arrived soon after the shooting and administered aid, but Beshaw died at the scene. Palmier was wearing a body camera that captured the shooting, state police said. Beshaw was subject to an arrest warrant, issued September 2, for felony burglary and unlawful mischief. On Friday afternoon, a Winooski police officer reported seeing Beshaw driving in the city. Beshaw was “known by Winooski police officers to carry a handgun based on recent investigations,” state police said. A Winooski police officer then saw Beshaw enter a home on Union Street, state police said. Two other Winooski police officers, along with Palmier, responded to the house. Authorities did not say why Palmier, a Franklin County deputy, was in the area and participated in the response. The police tried to surround the home, but Beshaw darted from the building and ran away. Palmier caught up with Beshaw behind the O’Brien Community Center, less than a quarter mile away. 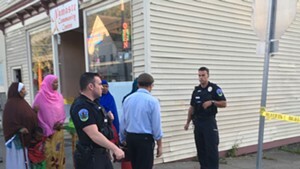 The Winooski police officers involved in the incident — Corporal James Charkalis, Officer Brenda Davis and Officer Dean Fullerton — were all wearing body cameras, state police said. Detectives are still interviewing witnesses and police officers involved in the incident, state police said. The Chittenden County State’s Attorney’s Office and the Vermont Attorney General’s Office will review the incident. 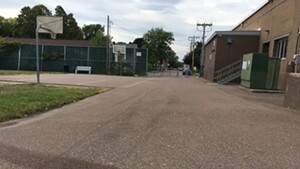 The shooting occurred near a basketball court and community garden located behind the Malletts Bay Avenue community center, which is home to a YMCA and the city library. Surveillance cameras mounted on the back of the community center appear to cover the area where the shooting occurred. Earlier Saturday, a young woman who identified herself as Beshaw’s longtime girlfriend flung herself onto a patch of pavement stained with his dried blood. She said that Beshaw had been a good father to her children, but she declined to answer further questions from reporters. Beshaw was charged with unlawful trespass in 2011 in connection to reported burglaries in the South Burlington area. In October 2008, Beshaw was a passenger in a vehicle that smashed into another car in South Burlington while the driver attempted to evade police. Beshaw was injured, while two other passengers were killed in the wreck.